Great video from Disney Parks about the horticulture in Disneyland brings to light the fact that the oldest plant in Disneyland is a two foot tall pine tree in Geppetto's village. 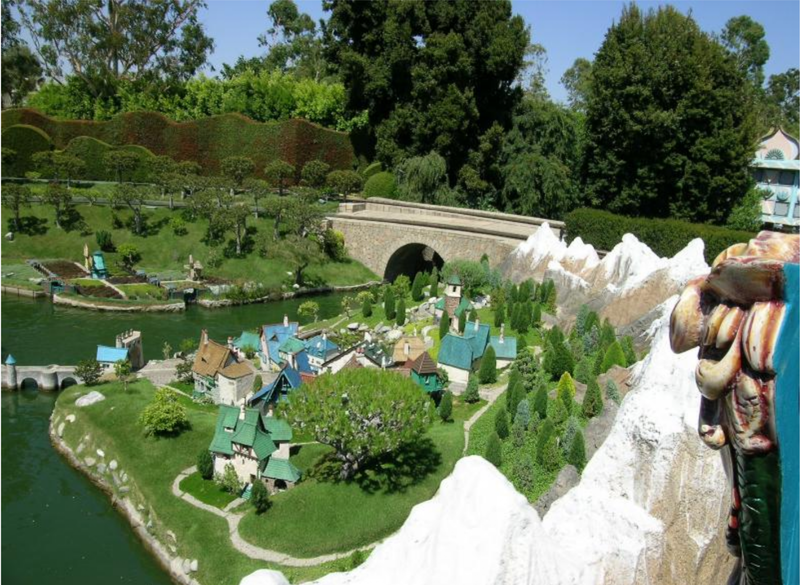 Here's a wider view of Geppetto's village so you can see the tree's location in the foreground. 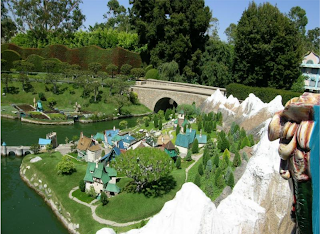 I've heard several stories about Walt himself planting one of the trees in Storybook Land. Its also my understanding that bonsai trees were not used because their in the 1950's placed them out of reach of the budget for the entire landscape. If this is a 150+ year old pine, then it was probably the only bonsai used and therefore could have been carefully planted by Walt. The petrified tree stump may be the oldest attraction in Disneyland, but this little pine takes the prize for the oldest living attraction at the park. Time for Lemonade and Crackerjack! 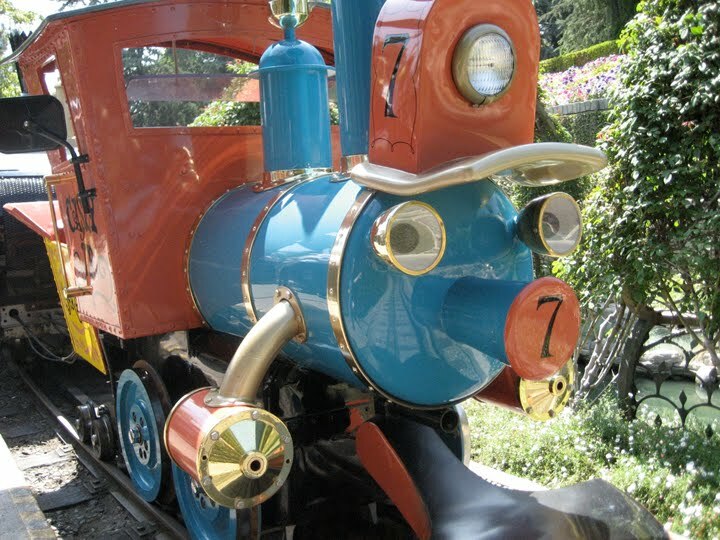 Casey Jr's back! After about two years in limbo, I'm back with more Casey Jr. and Storybook Land related material for the blog. I've been collecting content the entire time (does one ever stop?) so get ready for all sorts of new stuff.